He rarely wears a shirt. His best friends are animals. So, I had an idea for a picture of Jane and Paddington Bear because one travels from England to the jungle and the other travels from the jungle to England... and then Netflix happened. *shame and failure* Anyway, this week's awesome fan art was provided by my friend Tara! (Thank you, Tara!) You can see her original post here and catch more of her art at A Portfolio & Leaflets. 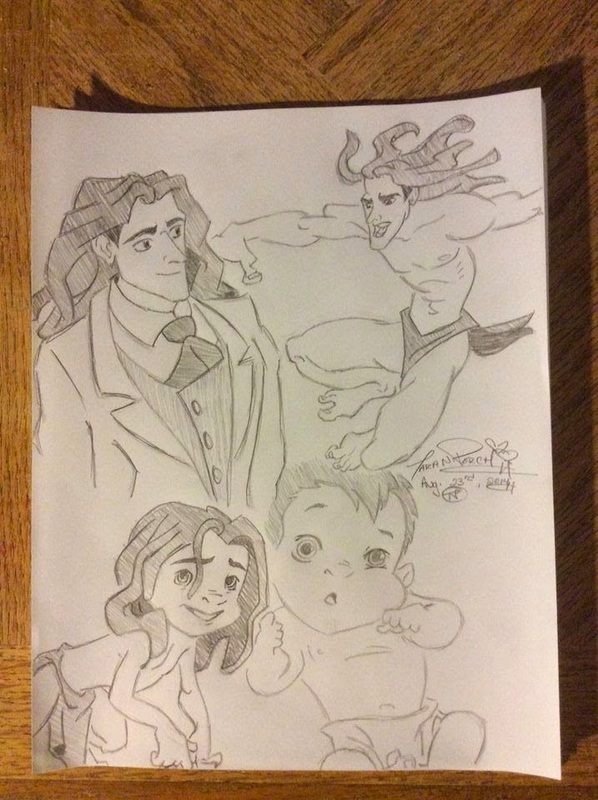 Those are some great sketches from Tara! Yep, she's one talented gal! Haha, we'll see if I can squeeze in a little sketching this week. If not, I think next week's art inspiration is Atlantis!